By plane, bus, or car - there are many ways to arrive at Sunshine Village, and they're all super easy. Decide which one best fits your situation. At Banff Sunshine Village you'll feel a world away, without the hassle of complicated directions. 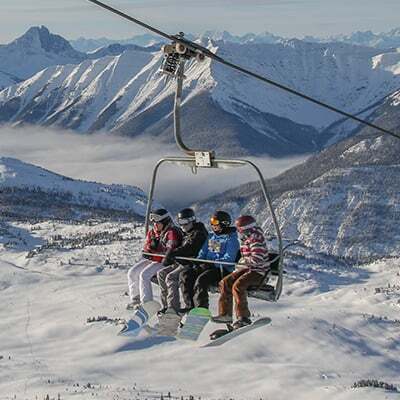 Banff Sunshine Village is conveniently located just 135 km (80 miles) west of the Calgary International Airport and only 8 km (5 miles) west of Banff on the Trans-Canada Highway (#1). The Banff Sunshine Village Gondola runs from 8 A.M. to 5:30 P.M. Sunday through Thursday and from 8 A.M. to 10:30 P.M. on Fridays. Calgary International Airport, your gateway to the Rockies. The Calgary International Airport in one of Canada's most connected airports. With YYC's new international terminal, flying in and out of Calgary has never been easier. 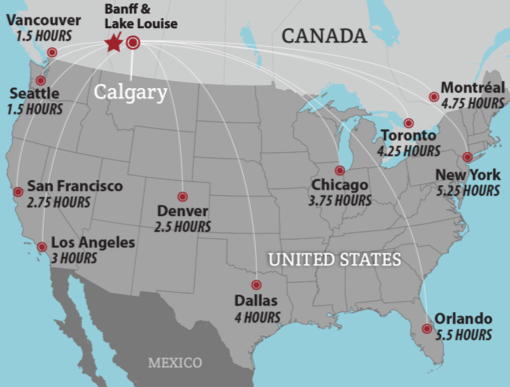 The Calgary International Airport is served by non-stop flights from major cities throughout the world, including London, Amsterdam, Beijing, Mexico City, Frankfurt, Newark, Los Angeles, Chicago, Toronto, Montreal, Dallas, Houston, Minneapolis, Denver, Salt Lake City, Los Angeles, San Francisco, Seattle and many other North American and international airports. To pick up your rental car, head to the Rental Car Center. It is located on the Departures level across the roadway from the main terminal building. It can also be accessed by the elevator lobby across the arrivals roadway. Our On-Airport Car Rental companies operate out of the Rental Car Centre. From the Calgary International Airport you can hop on the Banff Airporter, The Brewster Bus, Or Banff Transportation to get to Banff. Visit the YYC website to learn more. Head west on the Trans Canada Highway, and follow the signs to take the Sunshine Village exit. Continue on the Sunshine access road for 8.3 km. Banff Sunshine Village offers daily bus service to and from Banff to Sunshine. The Banff Shuttle Buses are FREE with any Sunshine Village or Ski Big 3 season pass or lift ticket. 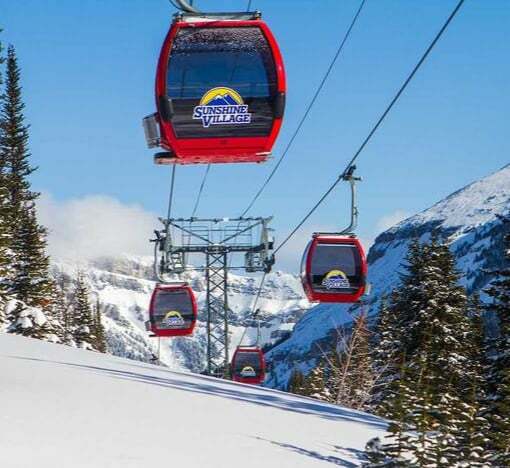 Sunshine Shuttles from Banff and Lake Louise are FREE for Sunshine Village season pass holder, SB3 season pass holder and any guest with a pre-purchased SkiBig3 Tri-Area ticket. Return Shuttles can be caught out front of the Creekside Lodge. They leave every hour and 15 minutes starting at 2:30 pm till 6:30 pm. Banff and Banff Sunshine are easy to get to and explore without a car. To get to Banff from the Calgary International Airport, you can book a ticket on one of several transportation services. Choose from the Banff Airporter, The Brewster Bus, Or Banff Transportation for private service to Banff. ROAM Transit offers users public transportation throughout the Bow Valley. Routes offered within Banff and Canmore, as well as between the two towns. Click the link below for schedules, routes and more information. Plan your perfect day at Sunshine Village. Where to ski or ride, where to eat, book lessons & rental equipment, and check the latest forecast and snow conditions. Make the most of your stay at Banff Sunshine. The only ski-in, ski-out hotel in Banff National Park, the Verde Day Spa, mountain tours and more.